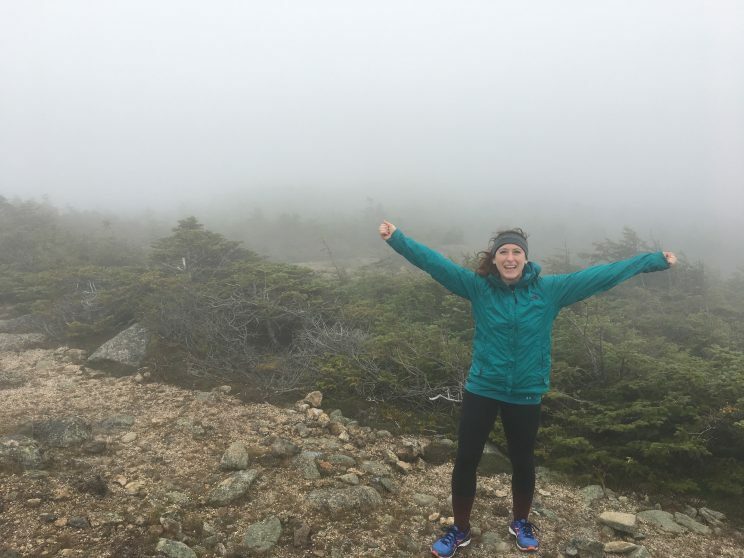 While this recap aims to impress, I highly recommend you read Shelly’s Blog, a 9-year-old conquering the track and the world at ShellyNash.com, because her viewpoint is much better told through her young, creative, and imaginative eyes. It was a breezy, clear night when I stepped off of the plane and out into the terminal at San Diego International Airport, awaiting for the arrival of my sister and mom to pick me up from the terminal’s curb. One new voicemail message showed a red notification over my phone’s voicemail icon. I opened it up and pressed the phone to my ear. The sound of 9-year-old Shelly’s voice came over the speaker, excited and eager to tell me she was accepted to the Girls on the Run program and she wanted me to be her running buddy! I think my eyes welled up. It was the best greeting after having 6 hours of plane ride on me and feeling my body weary with wear and tear. I called back and eagerly left a message accepting the esteemed role of running buddy. The 5k she was referring to was the race that all of the girls in the program work toward for the school year, building on their runs each week, until they can run a full 3.1 miles. It’s more than that though. It’s a way for them to build confidence throughout the school year at ages when confidence in young girls can wane or become challenged with their changing bodies and new methods of bullying. It builds a community of girls just like them, promoting fitness, (and snacks! Don’t forget the snacks! Shelly will remind you. ), friendship, and building others up. I admire the work this organization is doing for girls, getting them involved at an early age in healthy habits and teaching the reasons behind it. Each week the girls get together for snack time, a lesson, and a mile run. At an early age they are learning what a community of positive, physically active, and supportive girls can accomplish when they believe in themselves and each other. At the start, Shelly’s group circled up and the coach led them in their cheer echoing the words of Bey, “Who runs the world?” “Girls!” They responded enthusiastically. The start was buzzing with girls in pink, capes, glitter and smiles ready to run. A balloon arch and a megaphone signaled the start of the race. We were off down the course on a bright, sunny day, passing cheering moms, dads, grandparents, and siblings. Shelly’s mom and dad had signs waiting for us as we passed. Through the residential neighborhoods we ran while volunteers cheered us on! My favorite part was watching each girl with her running buddy for support and capes flapping in the wind behind them. We caught up to Shelly’s friend and encouraged each other as we took advantage of the water stops along the way and tackled the hills and the turns on the course. With the finish in sight, Shelly was fueled with a second wind of excitement and hustled through the balloon archway across the finish line. My Superpower is Running. What is yours? Girls on the Run is a national non-profit organization that instills confidence, wellness and fitness among young girls ages 8-13 around the country, and culminates in a final 5k to celebrate their achievements. Volunteer! As a coach, as a snack distributor, as an esteemed running buddy, as a course marshal! Girls need strong role models to look up to and be their cheerleaders. What’s stopping you from being that role model? Get involved. Don’t forget to hop on over to Shelly’s Blog Post on Girls on the Run and let her explain to you what “Stop and BRTHRR” means. What do you want to be when you grow up? Well, I wanted to be an astronaut or Star Wars. I want to be a chef. I want to work at Jamba Juice. That’s an odd one. Now, I’m starting to want to be a director or an actor. Who inspires you and why? Elise. Ashley Eckstein. She plays my favorite Star Wars character, Ahsoka Tano. When she was little she said I want to have my own clothes shop and I want to work at Star Wars and now she’s like 30 and she’s accomplished both of those. She has an online clothes shop for girls called Her Universe. It has all kinds of geek clothes and stuff, like Star Wars, Star Trek, Alice and Wonderland and Ahsoka. She inspires me because she is very inspiring and reaches her goals. And then Supergirl inspires me because I want to be a superhero. All the independent Star Wars characters, like Princess Lei. Mommy inspires me and then Rapunzel inspires me. She’s a lot like me. She’s creative like me. She’s my favorite princess since I saw that movie. 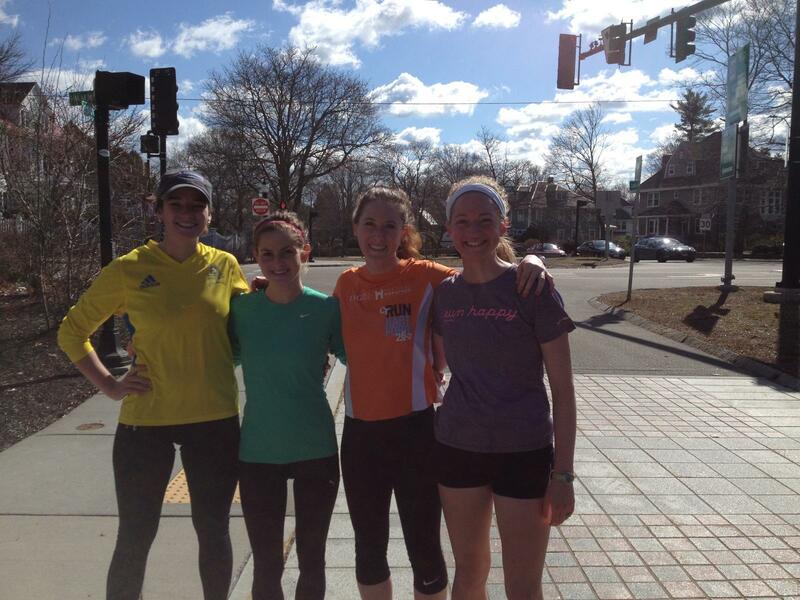 What was it like to run with the organization Girls on the Run? It was awesome! I had so much fun. And afterschool when we went to the gym, my two great friends went to afterschool. Girls on the Run is a program for girls third to fifth grade. You’re not just running. You learn about activities like breathing and not to get all mad and to learn about your emotions. What did you learn from training with Girls on the Run? I learned about all the stuff. This is how the normal day went. You got off school and you went to the gym and 3 o’clock you got snacks and we learned about a certain topic every day and then we ran and we did a star of the day. I learned about how to pace yourself, be calm. I learned that it’s not just tag running around. What was your favorite part of the season? All of it! Having fun with my friends, the 5K, running with Elise. How did your 5K and can you describe the feeling of crossing the finish line? During the 5K I tried my best to be like I can run, I got this. But I felt a cramp. You know when we saw the finish line and we still had to go all this way. And I’m like I’m not gonna make it. After I crossed the finish line I felt like I could do anything and I could accomplish anything. I was like, ‘I’m on top of the world!’ Everybody was waiting in that big grass field area. I ran all the way across the field. I was so confident. I felt like I could accomplish anything. 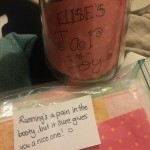 What would you tell other girls who want to do Girls on the Run? It is an amazing program. You definitely should. But afterwards you should keep running. You should keep doing it. You shouldn’t go home and sit on the couch. You should go home feeling like you got this. I didn’t do this, but I want people to do this because it feels good — you should stretch afterwards. It’s amazing you should definitely do it. I had so much fun doing it. Ice and breathe. Congratulations, Shelly! I could not be prouder. I’m so happy you did it, and I believe there will be many more in your future. 2018 Reading List. A little fun, a little strong, a little inspiring. Not pictured because already finished and passed along to a friend, but I want people to talk about it with you: The Magnolia Story. Eleven. 80’s Tube Socks. A Statue. And Standing Strong in Pursuit of Her Dreams. 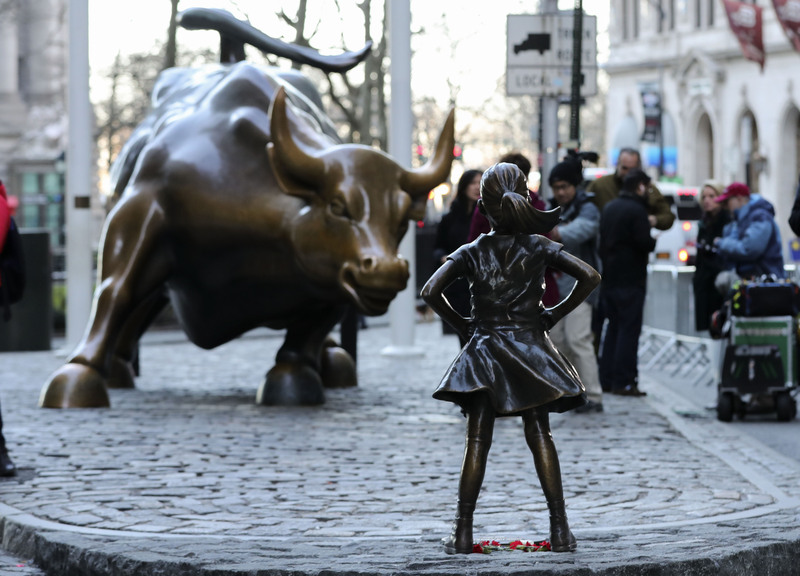 On a cool, wintry March day in New York City on International Women’s Day, McCann Ad Agency placed a sculpture in front of the Charging Bull sculpture on Wall Street. A lot of criticism and debate came out of that placement. For me, it was powerful. It was inspiring. I saw a little girl, hands on hips, standing up to these seemingly overwhelming, overpowering, solid fears. To me, I saw resilience. I saw determination. I saw the might to overcome and refusal to back down. I saw a little girl taking a stand. She was fighting for what she believed in. She was fearless. As the alarm went off at 5am and I pulled on my tights and tube socks, as I hopped aboard my bike, as I bounced to warm up and as I clamored to the top of the flights of stairs, I felt powerful, bold, unrestrained. I was buoyed by the fact that two people recognized my costume. One shouted, “Where’s your Eggo’s!” And another dressed as Wolverine suggested we combine our superhero forces. In my pink dress, blue jacket, tube socks and best Eleven face, I channeled my inner Elle (short for Eleven) from Stranger Things (Netflix original series and fan favorite) as I ascended and descended the gargantuan stairs at Harvard Stadiums. I felt badass today. I felt strong. I felt like that fearless girl standing up to the bull. I felt powerful instead of powerless. The Oxford Dictionary defines Fear as…DO NOT JUDGE ME! I have no other transition. Stay with me, people. The thing here is “whether the threat is real or imagined.” It does not matter whether that fear is actual or made up, fear can stem from just that thought. (Be kind to yourself.) So basically we could be wandering around fearful of things only in our imagination. Much of what we fear is in our head, what we’ve imagined into existence. But what exists on the other side of that starting line? Fear holds us back from becoming who we are really meant to be. It holds us back from trying new things, from releasing the beast within. It takes bravery to fully embrace you and the best parts of yourself. Uncertainty and the fear of the unknown prevent us from trying that new thing, from launching us into something foreign and new and profound. That course awaiting just beyond that starting line is where new, exciting, sometimes difficult things happens. When we stare down our fears with confidence, when we take a stance, hands on hips, challenge in our eyes and fire in our hearts and abandon in our souls, we can’t be beat. You’ve got the present moment guaranteed. Make the most of it. I need these gentle reminders. These badass people – imagined or real – to show me how to live life unrestrained. November Project turned 6 years old today* (coming into existence on November 1, 2011, *now 7 years old since publishing this post). 6 years, 44 cities across countries globally, countless leaders and members. 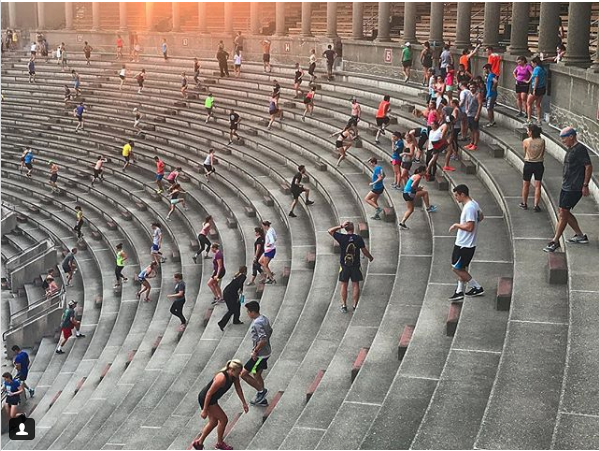 It was started by two friends fearless in pursuit of staying fit and fearless during the winter months–fearless in pursuit of starting and keeping a movement going, fearless in their dreams, inspired by a pledge to each other, taking a vow to #showup, and taking a stance, making it into something bigger than themselves. You are one person. One person can have reverberating effects with the power to make an impact on the world. Maybe that is why I donned the Eleven from Stranger Things costume on this cold, black morning. I was taking on the confidence and persona of Eleven, a girl with superhuman abilities, able to fully harness her mind and be a badass female leader. A force that reminds me ever so much of the girl standing before the Wall Street Charging Bull–brassy (pun very much intended), confident, courageous, gutsy. Fearless. The women of NASA, Amelia Earhart the first woman to fly solo across the Atlantic Ocean, and Bobbi Gibb the first female long distance runners to run with the men – they all did something with determination and in spite of, I’m sure, fear. And they opened up a world of possibilities for not only themselves, but others following in their footsteps. All it takes is one bold, brassy move and a lot of will power. I’m sure it was because I had one of my dearest, warm and joyous friends visiting me this weekend (one of the real-life individuals that provides me endless inspiration) and the fact that I was channeling my inner Elle (Eleven from Stranger Things), a badass young girl who was fighting back, but I was full of the inspiration to look at all of the barriers, can’ts, shouldn’ts, won’ts, worries – imagined and otherwise – head on. Because fear should not be the one thing holding you back from becoming you. We huddled close, soaked to the skin in our shirts, pants and rain jackets. We cupped the hot chocolate a little tighter and allowed it to warm our insides. Nothing but white washed the outside windows. You couldn’t see what was north, which way was south nor anything in between. Every now and again the doors of the hut would swing open and another wide-eyed group of hikers would huddle through the doors seeking the shelter of the homemade bread, soup, and the reprieve of the hut. Long wooden benches lined one side, while the center was the hustle and bustle shift change of experienced hikers, Sunday hikers, and some families with the kitchen sitting off to the left. The mug of hot chocolate (nothing special just a packet and hot water) along with the dill soup were EVERYTHING. We had been hiking for just over 7 hours. And we had 3 miles to go. We headed out into the hazardous conditions in our still wet clothing and new layers knowing 2 hours lay ahead of us between us and the car and mini-Twix as promised by Syed. 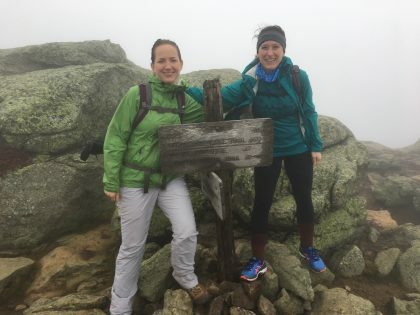 Not 12 hours earlier I had been boarding a Boston Express bus to meet Carolyn in New Hampshire for what would be an impromptu hike of Mount Lafayette and the Franconia Ridge Trail. We embraced as she picked me up from the station and we drove to pick up Syed. Carolyn is a tiger wrapped in sheep’s clothing. The most beautiful, docile in appearance with a beast inside, heart of gold, and a hilarious sense of humor. She had done this route before. Syed and I on the other hand, were still new to the mountains. 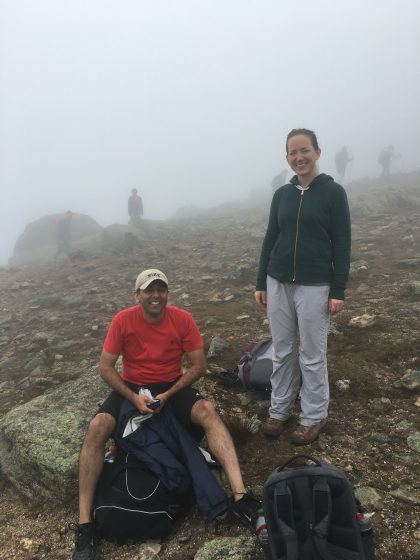 Syed and I were her faithful warriors with 4,000 vertical feet between the two of us. This was my first time meeting Syed. He was absolutely wonderful, so warm and welcoming. “This is my first 4,000 footer,” said Syed as we entered his apartment. I breathed a sigh of relief. “Me too!” I exclaimed. 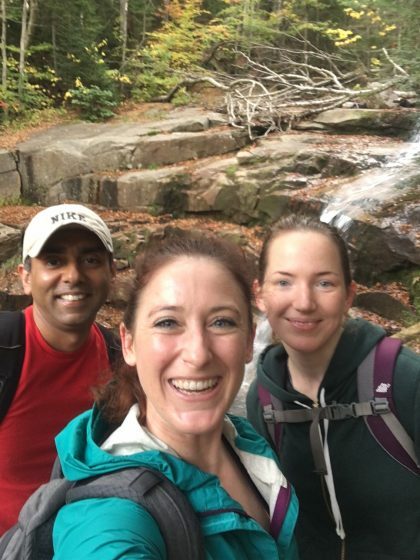 We packed our bags with snacks and water and Syed drove us to the base of the White Mountains. Along the way, he recounted all of the research he had done on our trail. I thankfully knew what I was getting myself into, having heard the tales of Carolyn and her husband Eugenio’s adventures. We pulled into the parking area at the base of the mountain. Other hikers were grabbing their packs and starting their way up the mountain. Onward we went. We took multiple, much-needed breaks. While Syed called the break directives, I was all too relieved to take in the blissful rests along the route. We passed waterfalls, trees, and humble hikers galore. We chatted and caught up on life, made up stories and wandered on our path. One spot we were looking for was Shining Rock. Shining Rock was worth it. A little detour off of our path before reaching the summit. We all looked at each other and confirmed we still wanted to take the detour. It was a small, narrow, downward slope and at the end was a massive, white shining rock sticking out of the side of the mountain. We hit pause. We sat on the rock and looked out over the expansive view of New Hampshire, of the world. We felt small. We appreciated every part of the moment. We paused. It was absolutely gorgeous, the fall foliage greeting us with all of its red, orange, and yellow splendor. 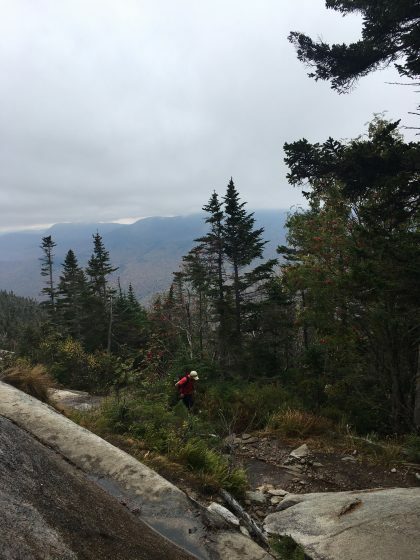 Shining Rock was in all of its glory, allowing hikers to glimpse at just a preview of the beauty the White Mountains held. We happened upon other hikers as we emerged from our .1mile detour. They asked us if it was worth it. We replied emphatically that it was! 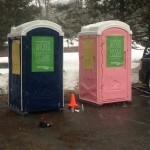 They poo-pooed the idea, despite our best efforts to assure them of its beauty, and declared they were here for the summit. That’s what they came for. We shrugged and continued on the trail. 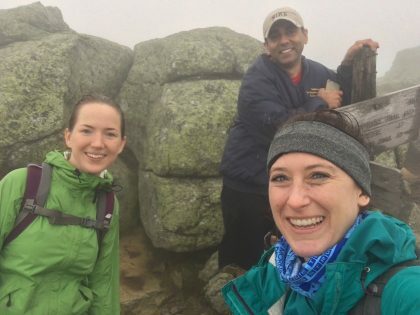 As we reached the first summit (there are three total connected by a ridge – one mountain for each of us), we were met with wind whipping at our clothes and white clouds and more white clouds. There were dozens of hikers at the top. Their bodies made black shapes across the ridge with the white backdrop of clouds obscuring any view as they made their way across. It was a strange feeling, feeling you were at the top, but not knowing how far up, nor how far out you could see on any other clear day. There was another group at the summit singing “Take Me Home, West Virginiaaaaa! Take Me Home.” We all laughed. It was a reminder we weren’t the only ones out there. That there really wasn’t an option to turn back. Plus, we had to make it to the hut by 3pm. That had been our original plan to beat out the potential rain. We definitely weren’t making it to the hut by 3pm. And we definitely weren’t outhiking the rain. We were only at the first peak and there was no sign of Mother Nature taking back her wrath. The wind whipped hard in its best attempt to pin us to the mountain as we crested rocks and traversed the ridge. Hype mode on for all of us. 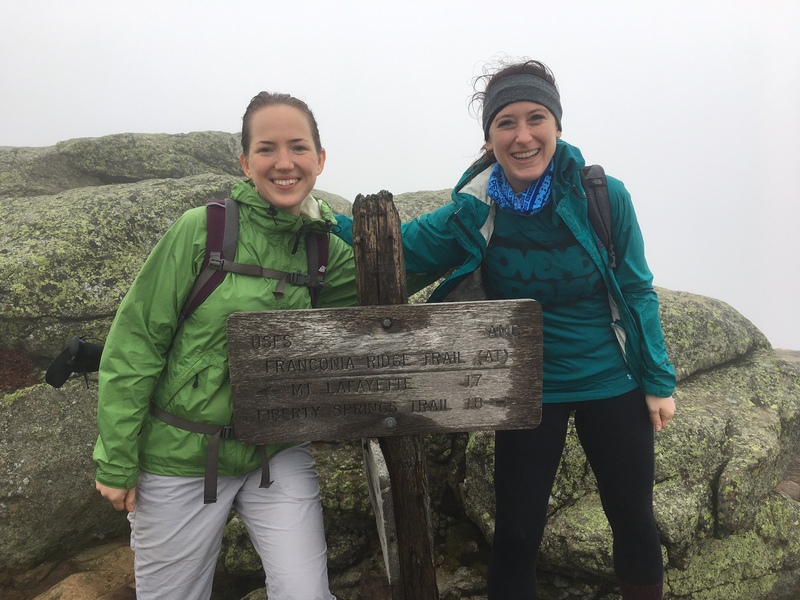 We made it to the Greenleaf Hut, the most adorable hut where you could break from the elements, regroup at the tables, meet other hikers, grab a change of clothes before venturing back out on the trail. It was the cutest New England lodge. Just cozy enough to give you a break, but not cozy enough to overstay your welcome, because, after all, you were there to climb. We ended the hike in the dark, led by Boss Lady’s headlamp that she had remembered to pack. Teamwork makes the dream work. We highfived at the base of the mountain and in the parking lot to our lone car as Syed produced the promised treat. We made it to the top. The one view we got was on Shining Rock, otherwise it was white clouds with an unknowing sense of where you were. We also talked about going back for the views. I sleepily smiled in the back, knowing I got something way better than views that day. I didn’t go for the views. I went to prove something to myself. I could be this new me. Maybe it’s not about finish lines, maybe it’s about the hard work, moments, laughs and unexpected people you meet along the way that’s really important. Maybe its about embracing the detours, the breaks, the unexpected. Maybe it’s the person that you’re becoming along the way, the friendships you’re gaining, the moments you’re sharing on the journey to the top that mark the experience. I think people go to the mountains to find themselves, to be reborn, and go back to their truest form. I just finished the book Unbound: A Story of Snow and Self-Discovery. More on that later, but she talks about starting lines and how they might just sneakily be as important as the finish lines. Her goal was to ski 4,000,000 vertical feet in one year spanning mountains across continents and countries. She had set out to break a record, but what she found out about herself as a person was the most important revelation. 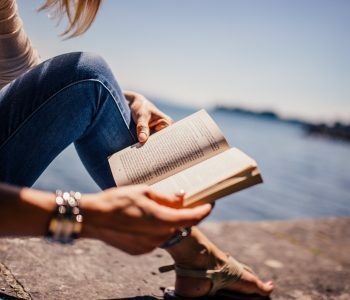 The people she met along the way and the blue ribbons she had been chasing opened her eyes to something entirely new about her way of living and her true, authentic self. *Syed was in constant reminder mode that he held the car keys and that we could not leave him behind in our travels. We would never. No man left behind. 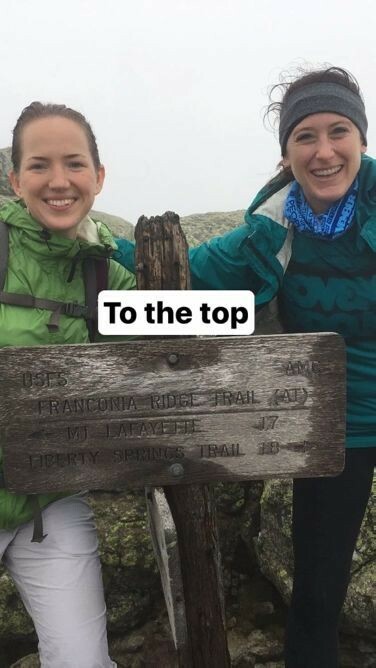 Hype girl’s rules of the trail. A New Year. A New You. As the lights flash on the countdown to new years, the ball drops with the light sparkling and reflecting off of it, and the crowd looks up in anticipation, I can’t help but feel we are feeling the same anticipation. The same longing, the same expectation, the same hope that this year will bring the joy and happiness we so desperately crave. As I was sitting at the bar, New Years Eve, hat on head and beer in hand, my friend and I talked about that. That desire for happiness and a fresh start. I’ve been in PT for over a year now, going on two years on-and-off, for the same ailment. But I can finally start to see some improvement. Some glimmer of hope. I had lost motivation at one point. At several points if we’re being honest. The prolonged ailment had been to my own dismay and my own doing. The problem was I couldn’t see an end in sight and the option of staying disconnected seemed most enticing. I had checked out. One night, I was scrolling through old posts from 3 years ago. It was about marathon training and how training often breaks you down each mile to build you up into a stronger person – wearing and tearing on your muscles, finding rest and recovery, and picking yourself up and doing it all again, only this time stronger and more experienced. That’s what PT has taught me. Baby steps. Little steps. Slow, calculated steps. And eventually, if you put in the work, you will see improvements you didn’t even know were happening. I had been focusing on the race, on outrunning myself. Not focusing on the other aspects that were so central and integral to training. Rest and recovery. It’s a thing. A beautiful, beautiful thing. I was charging ahead, forcing the way into the future, not paying mind to the rest stops. Turns out you need those. You need those breaks. You need those moments to take a step back and pay mind to what is happening. You need to slow down in order to speed up. I’ve been working on strength training, preparing and building my muscles for what is to come. And I’m already getting to run again and see improvements to my stride and my approach to training. I’m already feeling more balanced. In more ways than one. The tricky part is you have to put in the elbow grease, the counterintuitive work of slowing down to see the whole picture, even when you won’t see an improvement right away. In a world that is centered on instant gratification, it’s funny how right that saying is. Just taking a moment, one moment, to pause, evaluate and listen to your body, is so important to taking that step forward you have been so desperately waiting for. I feel as though New Years is a mindset into happiness and a fresh start. The ball dropping and the countdown to a new year is giving you permission to find a clean slate. The chance to embrace a new you, taking all of the struggles and trials and learnings from the year and using them to make yourself stronger. And conversely, taking all of the immense blessings from the year and using them to bolster that strength. Moving forward. I jokingly have been using “New Year, New You” as my battle cry. I think there’s some truth in it this year, though. I always thought New Year’s resolutions were inconsequential. The reason for that being, I thought we were constantly changing and could be making new years resolutions, goals, missions, year-round with us as we change and grow or as life throws us curve balls. I still feel that way. We’re constantly adapting to the waves of change. But I really feel a newness this year. When you get knocked down, there is the option to stay down, to give in to that sweet, sweet comfort of the floor beneath you. But what is down there? What is keeping us there in that spot? You can’t outrun running. “You can’t walk away from running. 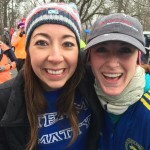 It will always find you.” World Record holder for the marathon (running a sub 2:50) and mom to Olympian Shalane Flanagan, Cheryl Bridges, told me that this last Boston Marathon. (I fangirled) As I sat on the sidelines, cheering, I could not get that out of my head. I’ve been stealthily avoiding, making excuses, sabotaging my road to recovery, all on my own. I’ve been giving into the floor. With this injury I’ve learned what foods and nutrition fuel my body, what exercises complement my training, and how much I love the sport. I don’t want to hold myself back anymore. By slowing down, I’ve been able to see the minute pieces that have made up the three years of marathon training and what has led to success. I’ve broadened my view. I also see the parts I have been missing in order to create the whole picture. As we sat at the bar, hats on heads, beers in hands, we realized growth comes from your perspective and what you make of the situation. Life is hard. Running is hard. Nothing comes easily, unless of course it’s a test of your strength and there to break you down and build you up into something new. But that’s what rest stops are for. Watch out world. I’ve hit my rest stops and I’m coming in hot this year. One last brunch, high fives at the top, and all of the jumping pictures. I know I said we had our last longest run before the race, but we still had a couple shorter long runs to knock out before race day. Taper time doesn’t mean we completely stop running. It just means we eat a lot, run less, and cruise into race day. 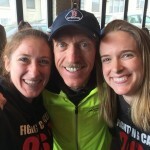 Saturday was a 10 mile lap around (or rather an out-and-back) along the marathon course. 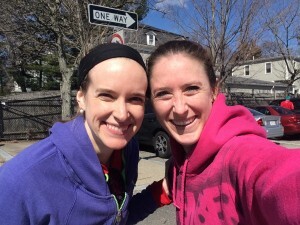 The photo at the top of this post is at the top of Heartbreak Hill, the site of high fives and where we are going to crush it in exactly one week. There was so much sun we didn’t know what to do with it. I had one layer on! I repeat one layer! Since this last weekend my laundry basket has been filled to the brim, nay overflowing, with clothes. I’ve worn a minimum, minimum, of 3 layers of running clothes every run. 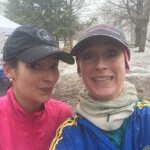 This season we’ve run through sleet, rain, snow, wind. We’ve found shelter on an indoor track for 16 miles at a time. We’ve run the course countless times, because it was the only place plowed. I’ve been mistaken for a transient in my layers of sweats getup. We survived a record 110.6″ of snow and danced our way through it. Maybe it was the sun that caused all of the celebratory jumps for joy. Or maybe it was because after all of those hurdles we somehow managed to find our way over them. I don’t know, but what I do know, is that running through it and leaning on joyful people has gotten me here. In my very first post, I said that marathon training has to break you down in order to build you up into a stronger version of yourself, and I’d like to think that’s what it’s done. We started with 10 miles on our first training run and ended with 10 miles on our last. After the run, Meesh, Allie, and I (along with so many others!) could not resist the temptation of these bad boys, and I succumbed to the bright red, lobster-patterned kicks and adorable puns, because you know how I feel about a good pun. “Prepare for the main course.” was Brooks’ tag line for these Boston-inspired sneaks, and I could not be more ready to serve up the main event. The lobster theme also perfectly summed up our long run friendship. (sorry ’bout it Brian! :)). For better clarification, see Friends reference here.). It also sums up how I feel about all of you. I would not have reached this point without each and every one of you. I’m behind on my thank-you’s but know that it does not go without immense gratitude and a fast clap or two. 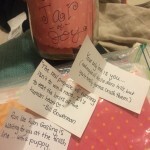 Each time the winter was ready to take me down, I had a word of motivation, a quick note, a sweet campaign (Eric & Laura and Leonard I’m looking at you!) or a notification a donation was made to my page. As cheesy as it sounds, thanks for being my lobsters and helping me run fastah. (Ryan, my only follower, please don’t abandon me because of all of these cheesy puns.) We have raised over $5,100 for cancer research!!! We are more than halfway towards our fundraising goal. I still can’t believe how far we’ve come. We are one week away from the Boston Marathon! THANK YOU for being a part of those miles and milestones, for coming to events, for providing virtual cheers, and for seeing it come full circle. Thank you for supporting cancer research. I started running two years ago for my grandparents. 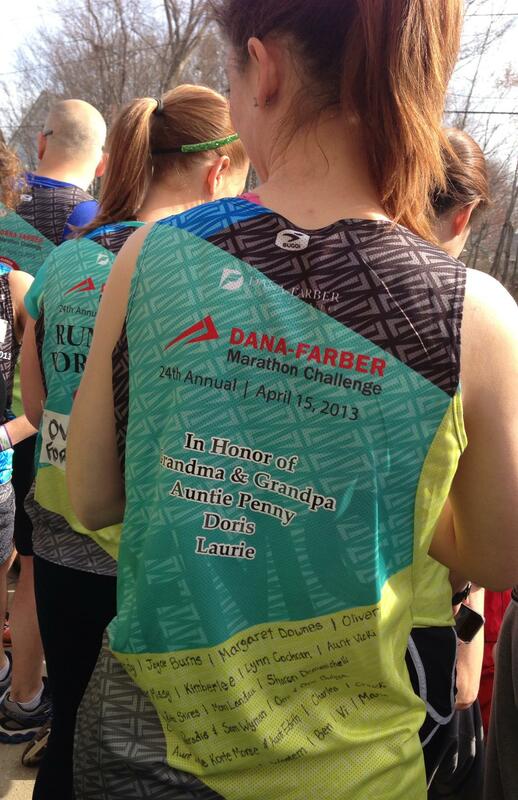 This year I’m running in honor of two friends whose parents were diagnosed with cancer this past summer. They’ve been the inspiration behind the miles. You’ve been the push to get me there. Let’s get ready for the finish line. This kid deserves a post all to herself. 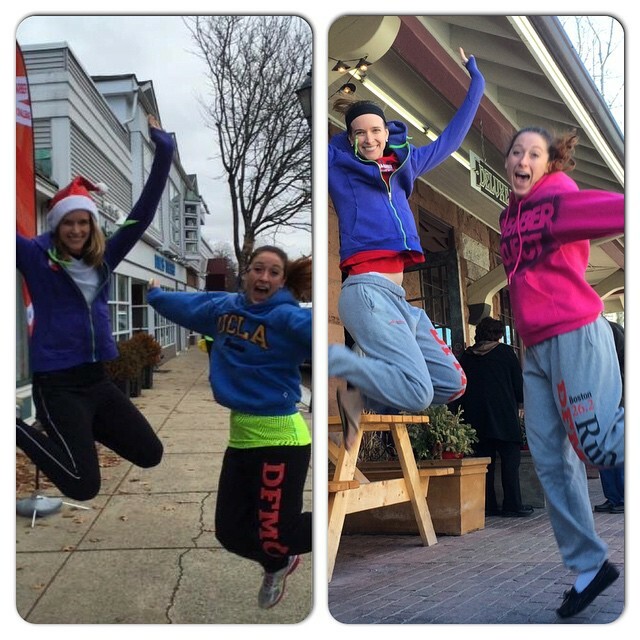 The jumping photo shows our first run and our final run together 5 months later, still smiling. There are no words to express how proud I am of this California kid for braving this new challenge. The Longest Run. PRPs. And Taper Time. 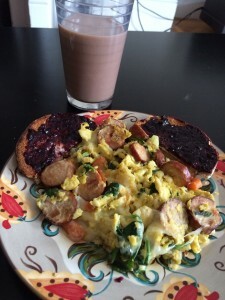 Brunch food motivation: Eggs. Of the homemade kind. The story behind the PRPs (pre-run pants). On race day of last year, it was the first time we were not allowed to bring bags to the starting line. Because we bus to the start at 5am and don’t race until 11am, we would usually have warmups and a bag to store them. Then the buses would bring them back down to the finish line. With the new policies last year, however, anything that came to Hopkinton, stayed at Hopkinton, unless we wanted to carry it with us. To lighten the mood, my main man Shifter put forth the challenge of finding the ugliest pre-run pants a runner can own. 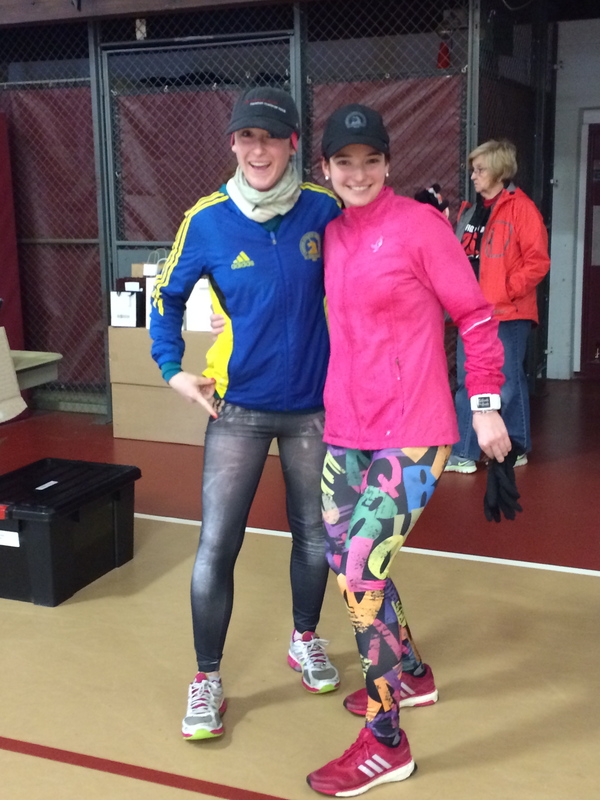 Faux denim and 80s neon lettered tights are the only way to rock pre-run pants. Obviously Meesh and I were all over that gauntlet. We hit up the Buffalo Exchange and found these gems. 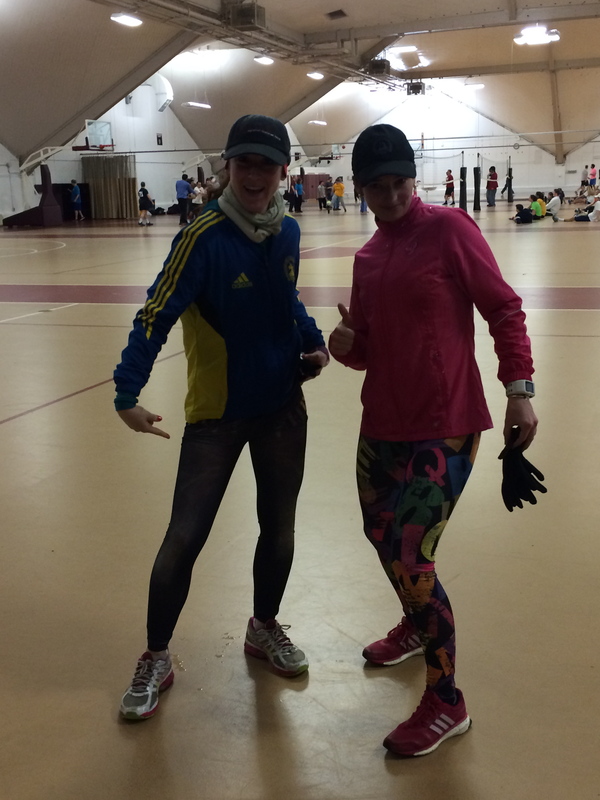 Without question, they secured us first place in the ugly pre-run pants contest. Meesh was able to somehow cleverly save our prized possessions, and we thought it was only fitting to wear them on our final longest training run of this season. Granted they weren’t really made for running 20 miles, but you can’t go wrong with faux denim and 80’s print neon letters. Or so I’ve been told. There was a smorgasbord of brightly patterned tights everywhere I looked, making me beyond envious. 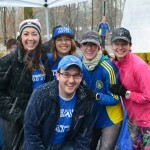 Runners dressed as rabbits, bunnies and a carrot with a sign reading, “Best By Date of 4/20/15 (marathon day)” emblazoned on his chest braved the wet falling snow. Never mind that it was the end of March. Mother Nature wanted us to know she was Queen Bee and she didn’t give a you know what. This is how I imagine she was this season. Spring? Nah. More snow! Meesh and I decided to do 20. And you know what? I felt like I could go another 6.2. I’ll let you in on another little secret. We don’t just think about brunch on the run. While that does help to motivate, we also talk about and recreate NFL Bad Lip Reading. 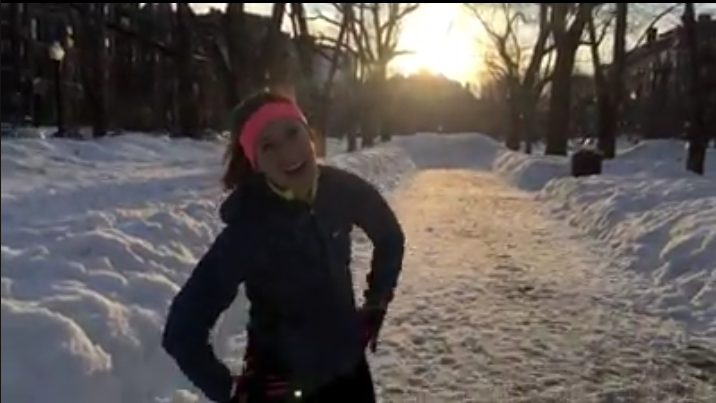 Some great Youtube videos quoted on runs have gotten me through those miles (also through some ice baths). At the last water stop at mile 10, Meesh and I looked at each and said, “Here’s good.” And we turned around to complete our out-and-back. On the last stretch we may have lingered a little longer than we’re supposed to at the Team Matty water stop. I just can’t get enough of the energy from that crew. We saw familiar faces from team members from last year, greeting us with Gu, giant hugs, and #selfieswithChristy. 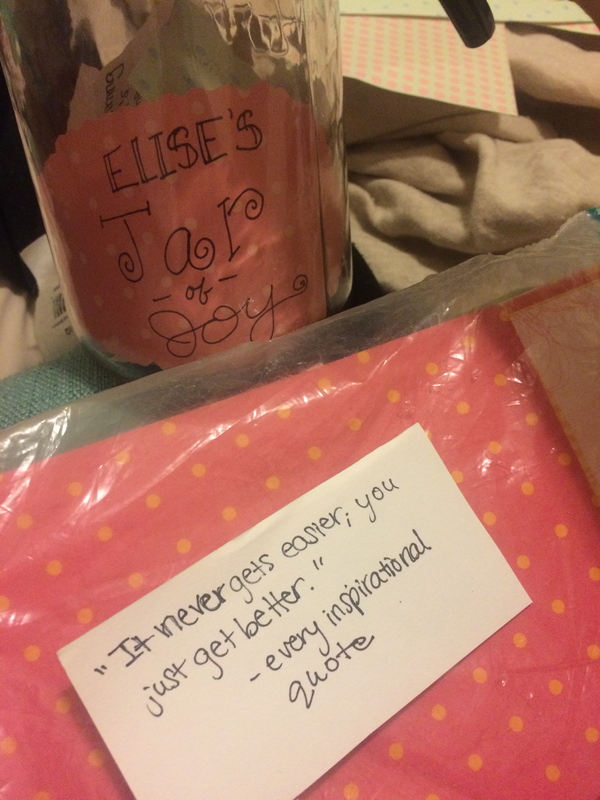 At the water stop this year was a couple jars where you could pick up a pun from Murph or an inspirational quote from a Jar of Joy I’ve been adding to sporadically this season. When I made it home, I whipped up some eggs and chocolate milk. and tucked myself in for a long nap. Just before I was drifting off to sleep, I was checking Facebook and found this post from Christy Ciccariello. This training season has been tough. We hit a record-breaking winter in Boston. We’ve laced up when all I’ve wanted to do was snuggle in. We’ve made snowy days into high-five central. We got hit by a puddle of street water. We’ve nursed our injuries and we’ve covered miles in snow and below zero weather and done 16 miles on an indoor track. But surrounding myself with not just the people I run with, but the people across the country giving me calls full of virtual high fives and encouragement, have been beyond important. I’ve said it before and I’m restating it now, because it really has been those emails letting me know we hit another fundraising goal and those calls of excitement that have gotten me through this long run, reminding me it’s all going to shake out okay despite all of the setbacks, and that I have a pretty kickass friend group. Less than 3 weeks to go before marathon day. Banners are up. The roads are being repaved. And anticipation is in the air. *Some people have asked me what taper time means. It means we decrease in mileage each week before the marathon. Basically, we run less and less each week and want to eat all of the food in the pantry.